There is a 10% sibling discount that will be applied to each additional sibling. 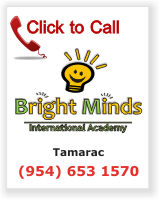 The discount is to be applied to the child with the lowest Tuition rate. *Discounts cannot be combined with any other discounts or promotional offer. Send Offer to your friends! Edu1st is pleased to announce our Neighborhood Discount Program to all the business in Brookwood Center in recognition of your support with our School. Employees of the companies in the program (see list below) receive 10% at any of our schools, at any time of the year and in any of our programs. (they need to present valid proof of employment, for ex. A company ID or a recent pay stub. On a yearly basis, during re-registration, the parent must again present the proof of employment in order to keep the Corporate Discount. If the parent has terminated the employment with the company, the Corporate discount will be taken off the account. Any special discount will be specified in front of the company name on the list below including details on the discount and the dates that apply. Once a new school year starts, these families will have the company-wide approved increase to the rates they got on the special discount offer. *This discount is not to be combined with other discounts, including sibling discount. Pre-payment discounts can be combined with other discounts; Corporate, sibling, neighborhood. In the case of referring and registering siblings the parent will get $125 for each child. Restrictions apply. 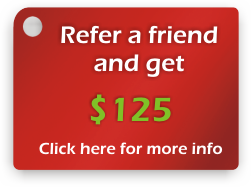 To participate: It is very simple, just fill out the Refer a Friend Form and send us all your referrals. Don’t forget to remind them to give your name and phone number when they are taking a tour in any of our schools. Summer VPK: Any person that refers a child for the Summer VPK program will get $65 for every child they refer and the child stays for the whole summer program. SmartCare Parent App & Web Portal! SmartCare is a cloud-based, real-time technology that enables Parents, Center Directors and Teachers to be connected in real time through your own mobile devices and via web portal - throughout the day, anytime, from anywhere. Access to view your child’s time line as to the hours he /she has been clocked in/out. This will allow you to use your mobile devices to seamlessly scan your children in or out, with a unique QR Code. You could also use the Key Tag QR to scan – or set up a numerical passcode.. *You’ll also be able to send a QR Code via text, to an authorized pick up person. Access to view your weekly statements. Check Communication Notifications, View Billing Account Information, Pay Your Tuition/Balances – all on the Parent App! View and Pay by Debit Card, Credit Card or by Checking Account on the Parent App, or via the Parent Web Portal. *Because SmartCare is cloud-based, when payments are processed, the Center will update in real-time.